Homes for sale in Osprey Cove, a neighborhood of Shelbyville, KY are displayed below and updated daily from the Louisville MLS. 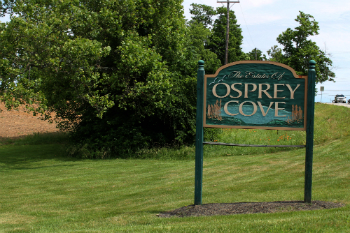 Osprey Cove is located in Shelby County off I-64 and US-60. It is conveniently located near Clear Creek Park and a myriad of shops, restaurants, grocery stores and recreational activities. The schools are in the Shelby County School District. Additionally, it is minutes away from the Outlet Shoppes of the Bluegrass, Shelby Trails Park, the beautiful Beckley Creek Park and the popular Claudia Sanders Dinner House. For your convenience, register for a free account to automatically receive email listing alerts whenever new homes come on the market in Osprey Cove that match your specific criteria. SELLING YOUR OSPREY COVE HOME? If you are planning on selling your Osprey Cove home, and would like to determine the value, click here.